Do you have the business savvy of a CEO, the experimental attitude of a scientist and the technical know-how of an engineer? If so, you might be a farmer. With so much to know, farming has a lifelong learning curve, and trial and error is a constant companion for even the most experienced farmers. For those just starting out, the first few years can be grueling, especially when local resources are thin on the ground. 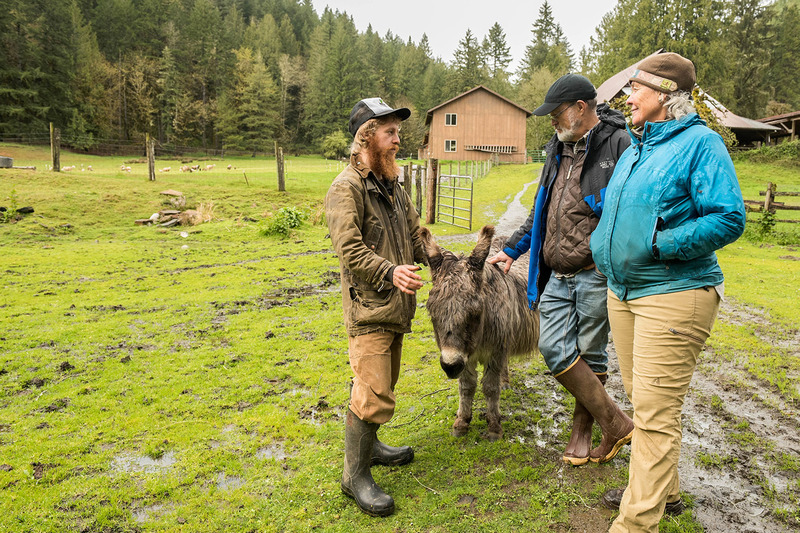 But a new program from Oregon Tilth thinks building and formalizing relationships between beginning (and transitioning) farmers and more experienced mentors might help improve those challenging early days. 2018 marks the first year of Oregon Tilth’s Farmer-to-Farmer Mentorship Program. The idea arose after hearing time and again that peer support was one of the most valuable resources for farmers making the transition from conventional to organic practices. As a third-party certifier, Oregon Tilth is prohibited from providing consulting or assistance directly to clients. 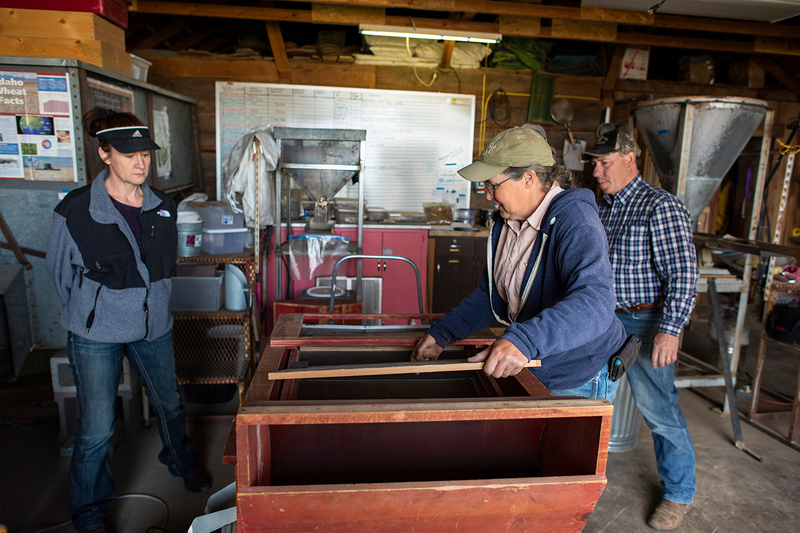 However, by pairing mentors and mentees, Oregon Tilth hopes to help transitioning and beginning farmers get the support they need from those best-suited to provide it: other growers who’ve been there before. The yearlong program is carefully designed to provide structure as well as flexibility. Each mentor-mentee pair is carefully matched, taking proximity, farm type, expertise, interest, scale and farming philosophy into account. Mentors must have been farming commercially and under organic certification for at least five years. Mentees are not required to be certified organic, but should be committed to transitioning to certification. Each mentor-mentee pair is introduced during a kickoff session facilitated by Oregon Tilth, which includes a discussion of expectations, goals and learning and communication styles. At least two farm visits, one to each farm, are required during the year. Participants each receive a stipend for formal education, while the mentor receives an additional $1,000 stipend at the end of their mentorship year. Mentees pay a $200 administration fee to participate in the program. This year, 10 mentor-mentee pairs were matched, all in Oregon, Washington or Idaho. Each pair is unique, but they’re united by their commitment to learning from one another and strengthening connections within their local farming communities. 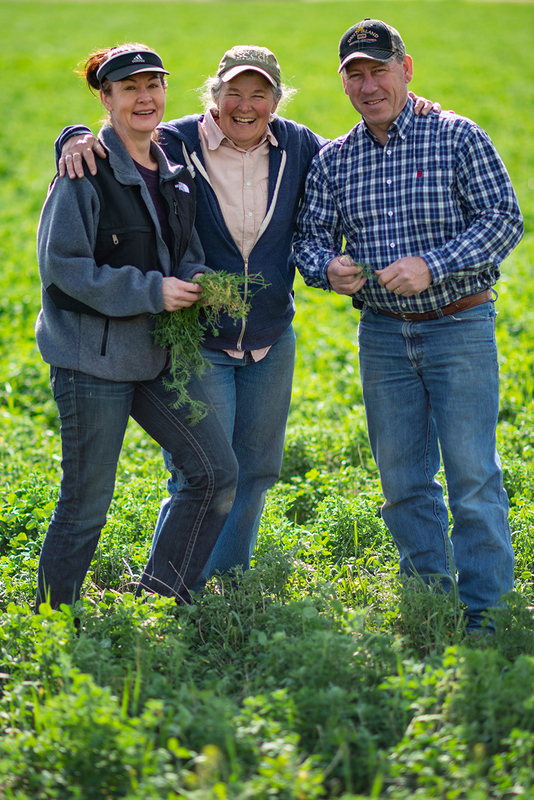 Carmen Whitworth and her husband, Kurtis Funke, co-own CDK Farms in Caldwell, Idaho, an 80-acre farm growing dry beans, hay and a variety of seed crops. Certified organic since 2006, Whitworth and Funke aren’t beginning farmers, but they’re now expanding into seed cleaning and the process is new to them. With clear goals in mind, Whitworth and Funke contacted Oregon Tilth in search of a mentor with relevant experience. They were matched with Beth Rasgorshek, owner and operator of Canyon Bounty Farm in Nampa, Idaho. Rasgorshek has been farming for 20 years, first in Portland, Oregon, and now in Idaho. Organic vegetable seed is the primary crop at Canyon Bounty Farm, and Rasgorshek handles all the cleaning herself. Rasgorshek remembers her early days as an organic farmer as lonely ones, with few mentors or local resources. Yet her family, many of whom were conventional farmers, provided essential support, helping her find the obscure small-scale pieces of equipment she needed and sharing a sympathetic ear when times were tough. Leaping Lamb Farm sits cradled in a small valley among the forested hills of the Coast Range in Oregon. Here, vegetable crops coexist side by side with a herd of Katahdin and Katahdin cross sheep as well as a mixed flock of chickens, ducks, peacocks and a lively, warbling turkey. Farm manager Justin Moran joined Leaping Lamb Farm with his partner and co-farm manager, Teagan Moran, in late 2016. Since then, they’ve welcomed their daughter into the world, began pursuing organic and biodynamic certification and started planning for a farm expansion onto nearby pasture land as well as the addition of organic seed production. 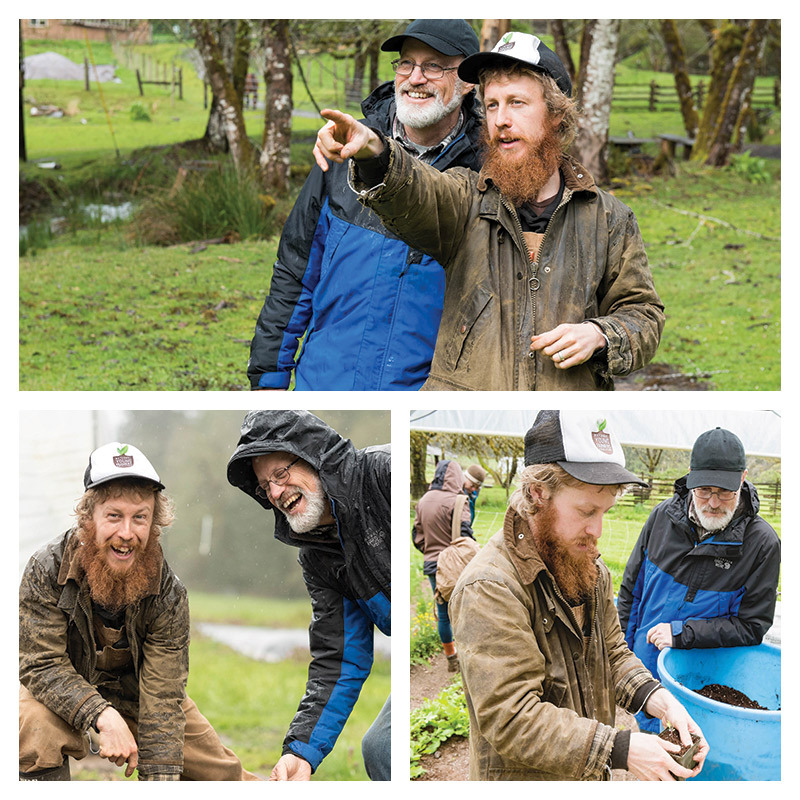 With so many projects happening at once, Moran reached out to Oregon Tilth and expressed interest in being paired with a mentor who could help him navigate the organic certification process and also understood the unique dynamics of biodynamic systems. He was matched with Wali Via at Winter Green Farm, a 171-acre certified organic and biodynamic farm in nearby Noti that integrates vegetable crops, beef cattle and forest and riparian areas. During their first on-farm visit at Leaping Lamb, Via and Moran discussed a wide range of topics, including how to approach the expansion into the neighboring pasture. The area had been leveled with a bulldozer in the past, which means the soil is distributed unevenly across the field. Some areas have very deep soil, while others are nearly down to bedrock. Moran had planned to start cultivation at the higher part of the field because he knew it would drain better, an important consideration in the damp climate of the Coast Range. But Via pointed out that other areas of the field might actually be easier to start with. “That was good advice,” said Moran. Via and Moran already knew each other from the biodynamic community, which made starting the relationship easy. Moran says he deeply values Via’s experience with success as well as failure, and sees mentorship as a resource for planning for success, navigating failures and sharing potential pitfalls when it comes to making business decisions. For new farmers, the passion and drive to farm is essential, but it’s not enough to weather the day-to-day challenges of farm life. Skills acquisition is critical, but there is no user manual, no cheat sheet, for farming. There are, however, other farmers, many of whom see passing their knowledge along as an investment in the larger agricultural community that has sustained their careers. The relationship between a mentor and a mentee can be mutually beneficial, acting as a light in the dark for a new farmer while rewarding mentors for a lifetime of learning. But the benefits can even go beyond that, strengthening community bonds and raising standards across the entire agricultural spectrum, generating rewards for beginning farmers, experienced farmers and all of us who rely on them. 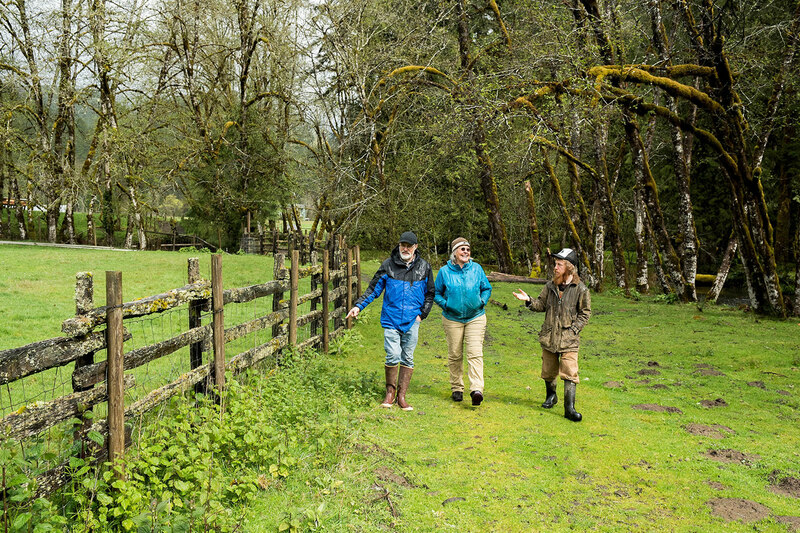 Farmers interested in participating in the 2019 mentorship program can visit the mentorship page on our website or contact Drew Katz at Oregon Tilth, drew@tilth.org.